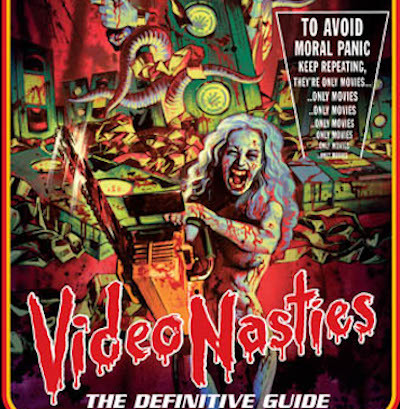 Video Nasties: The Definitive Guide was released on DVD in the UK by Nucleus. The release, in 2009, was a limited edition (of which my copy is number 620), and it included five postcards featuring video inlay covers. The three-hour documentary, directed by Jake West, includes interviews with Martin Barker (author of The Video Nasties, the first book on the subject) and Kim Newman (author of Nightmare Movies), amongst many others. The exhaustive documentary is accompanied by trailers for the 'video nasties' themselves, introduced by interviewees from the documentary.